Now you may think this is silly, after all how hard is it to sit and eat a meal between writing jaunts? But the problem for me wasn’t finding the time to eat. It was remembering to eat at a normal time. When I first found out Hurricane Crimes was going to be released for KDP (Kindle Direct Publishing), I only had two short weeks to do my cover reveal and to start planning my blog tour. I was strapped to the computer from day to night, frantically sending out emails to bloggers to graciously (aka desperately) ask them to host me on their blog. Between sending out my emails, I was also scheduling dates to the bloggers who got back to me and sending them the information they needed. During all of this I would work straight through my lunch hour and end up eating lunch at 2:00 pm or 3:00 pm. Worst yet, I wasn’t drinking anything. I’d wake up and hop on the computer, neglecting my morning cup of green tea just so I could see who emailed me during the night while I was unplugged from the Internet world. After a few days, I started to feel weak and lightheaded and realized I was probably dehydrated. I downed water and worried I’d have to have visit the ER. Luckily, it didn’t get to that. But before all of this took place, a month before, I was hip deep in editing the galleys for Hurricane Crimes. I was also visiting my doctors for the heart problems I was experiencing. In the beginning of October I was surprised to see I was down two pounds. Two weeks later, at another doctor visit, I was down another two pounds. Then in November another two. I was working myself so much—skipping breakfast and eating lunch late—that I lost six pounds! All of my jeans were baggy. Not good! So, if you’re like me, forgetful when it comes to meals and staying on top of the daily recommended dose of H20, change your habits. Your health literally depends on it. After all, you can’t write if you’re in the hospital for dehydration! Bring water to your desk, keep healthy snacks in your drawer, and take proper breaks to eat. All of your emails and editing and writing will still be there if you step away for a few minutes to make a sandwich or get a glass of water. QUESTION: Have you ever forgotten to eat during a writing jaunt? Yes, best way to lose weight. Um... no. I never forget to EAT. It's the one thing I forget the least in my life hehe. Sometimes I might not have the time to eat each meal, so will skip a meal, but it's sure not because it slipped my mind. It's not so much that it slipped my mind or that I would forget to eat all together. I always eat dinner and a snack in the evening, but during this hectic time it was well past lunch when I'd actually eat because I would look at the clock, see that I had time before the lunch hour, and would continue to work. Then I'd end up working straight through that time and have to eat a very late lunch. I don't forget to eat - I just don't WANT to when I feel I have some good words going down. That's very true, David! Good point. Hi Chrys, I'm glad you're taking better care. This is an important message you're sharing. Yes, I sometimes lose track of time and then realize I haven't eaten! I always start with coffee and water, with toast. But the rest of the meals of the day can go down the tubes fast. Almonds are a great go to snack and dark chocolate. 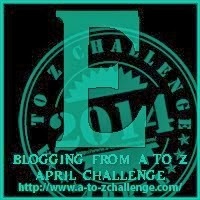 Stopping by on the 5th day of the #atozchallenge while looking for fellow writers. I'm glad I did.Congratulations on your blog. I know you are going to make new blogging friends this month like me who find your blog worth following. I'm writing about gardening and related topics and having a wonderful time. If you have time or interest, come and visit. Hours have slipped by when meals were missed. I do always have a drink with me. The problem in my house if I forget about feeding everyone else. They're old enough to survive but I don't like them messing up my kitchen. Your comment made me laugh, Susan. I wouldn't want my spouse of kids messing up my kitchen either! Actually, my kids have decided they like serving me while I'm working, so they randomly bring me lunch. I'm so blessed to have them. I've developed some outright horrible eating schedules and habits since I've taken this semester off and have had so much free time for editing and writing. Compounded with the awful sleep schedules I got into several years ago, it's probably not good for my health. Definitely not good for the health. That's why I've gotten better with my eating schedule. I keep checking the time and when it gets to be lunchtime, and if I'm hungry, I force myself to quit what I'm doing to eat, instead of plowing through until I'm done. If I always did that, I wouldn't eat lunch until dinnertime! I don't think I've ever forgotten to eat but I've definitely noticed when I get wrapped up in writing and feel like I'm in a rhythm with it that I don't feel hungry and the time passes so quickly. I actually wish I could get into that state more often LOL. Lately it hasn't been happening enough. Exactly, Julie! Sometimes my hunger goes away when I'm on a roll or trying to finish something. That's what I mean by "forget" because, technically, our minds did make us forget by dulling our hunger. My issue has been making the time to eat healthy and prepare real meals. It's so easy to resort to processed food out of a can when you're pressed for time. I was also worried about all the time I was spending sitting down, so I got a trek desk. That's been a great step in the right direction (no pun intended), but now I have to find a way to incorporate fruits and vegetables back into my life. When I'm in front of the computer I have to force myself to get up and pee. Eating isn't as big an issue because I'll get the food and come right back to write. Been there, done that. lol Yes, I'm getting better at eating at my desk. I don't think I could ever forget to eat. My stomach won't let me! Sometimes when I'm working hard I push my hunger aside so I can finish and that contributes to eating at inappropriate times. I am still thinking, but I have never forgotten to eat, it has been a deliberate attempt to skip meals while writing and realising in the middle of night that I have been starving..
Chrys, I really enjoyed this post. I like the way it is written and appreciate your reminder to writers to stay healthy by following the simple rules we need to nurture ourselves daily. I'm wondering, did you do the blog tour with a company or one on your own? Peanuts are very healthy and an excellent brain booster. Cheese is good too, in moderation. I can relate though. I haven't been working out as much and I've recently changed my eating habits in the evening, which is when I'd eat unhealthy snacks such as chips. Now I'm eating a sliced apple with peanut butter, a slice of cheddar cheese, and sometimes a rice cake later. I've forgotten to eat while teaching - doesn't happen often but there are those days. I would say dehydration is a major issue because we drink so much soda even coffee. Great advice for the A to Zers. Dehydration certainly is a major issue. I actually only drink one can of ginger ale at night and maybe one decaf cup of coffee in the afternoon. It's remembering to drink water or juice at my desk that's my problem.